These rare photographs are from Mike Taylor, whose father, Cyril Taylor, worked for the manufacturer from 1925 (age 16) to his retirement in 1974. 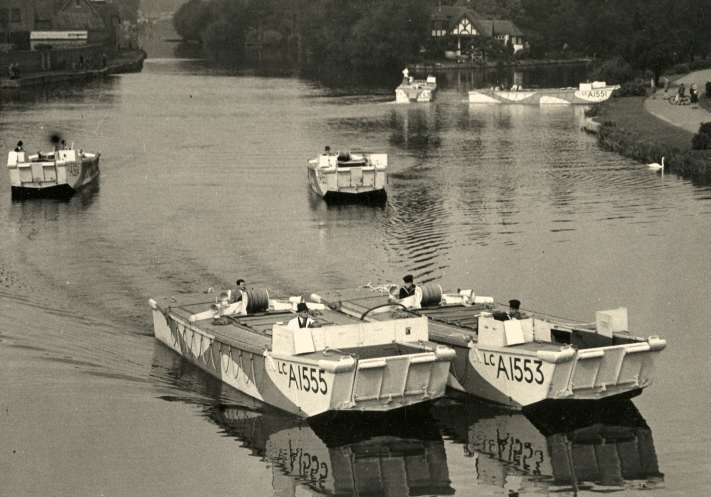 The photos show newly completed Landing Craft Assault (LCAs) being handed over to the Royal Navy by builders, Elliotts of Reading, Berkshire, England. It is believed the photographs were taken in September 1944. LCAs were produced throughout the period 1940-1944 and carried pennant numbers in the series 1 to 2030 for the purpose of identification. The craft in the photos were numbered LCA 1551 to LCA 1556 inclusively and were, therefore, amongst the last 500 produced. 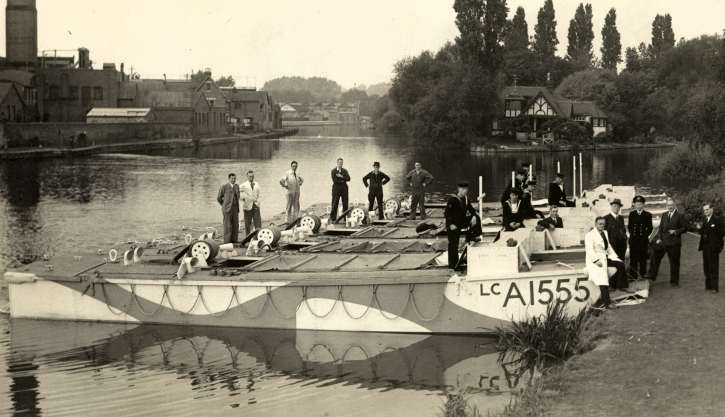 LCAs had their own engines but lacked the range and physical characteristics to undertake long sea voyages under their own power. They were, therefore, transported on Landing Ship Infantry (LSIs), also referred to as 'mother ships'. On arrival at their destination a few miles off the landing beach, the LCAs were lowered from davits into the water, laden with 35 fully armed troops. 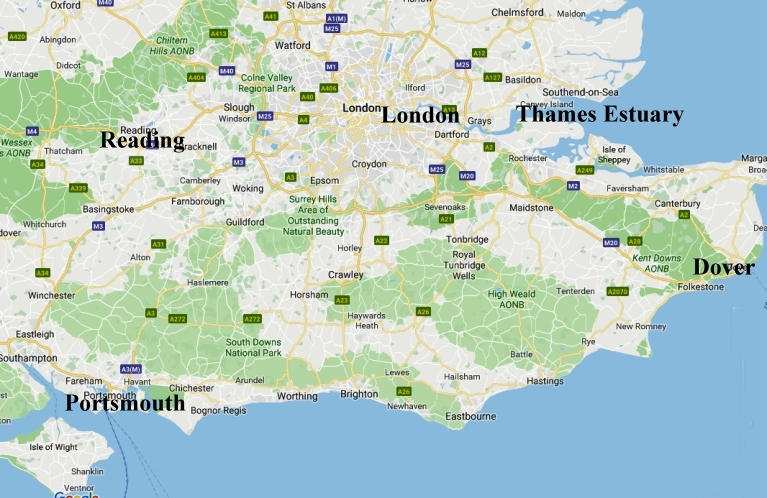 From there, they usually formed up into formation and proceeded under their own power to predetermined positions on the landing beaches. Each flat bottomed LCA measured close to 14 meters in length by 3 meters across the bows and could carry 35 assault troops and 800 pounds of equipment together with the craft's 4 man Combined Operations (Royal Navy) crew. The Coxswain manned his station starboard (right) side forward and to his left, in position portside forward, was the bow gunner. The troop space within each craft was 6 meters by 3 meters with a Bren gun on the portside (left) and two .303 Lewis Machine Guns. Some craft are recorded as having mortars fitted aft. The LCAs were powered by two 65hp Ford V-8 engines and could achieve 6 knots when fully loaded. 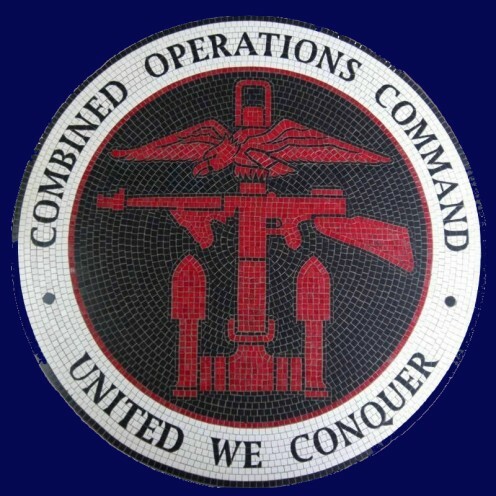 In an assault operation, a boat officer commanded 3 LCAs and was carried aboard one of the craft. That craft relayed signals and orders to the other two craft in the group. The 6 landing craft assembled prior to handover ceremony. Repositioned for ease of access in readiness for the handover ceremony. 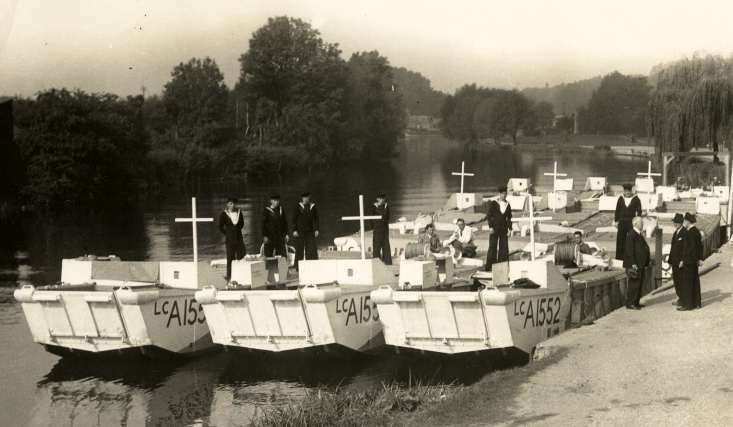 After the ceremony the craft were taken down the river by a mixture of naval personnel and Elliott's staff. Family folklore suggests that Cyril Taylor was amongst those delivering the craft to London. The craft just below Reading Bridge heading off towards London. Elliott's premises stretched down to the River Thames and the handover took place just above Reading Bridge. Only one LCA was lost within the 1500 number sequence. On August 17th, 1945, LCA 1591 was lost overboard from a Landing Ship Tank (LST) off India, which raises the possibility that the craft shown here may also have seen service in the Far East. At the time of the handover in September 1944, 3 months after the Normandy landings, the need for LCAs in the west had diminished, although both Walcheren (Operation Infatuate) and the Rhine crossing were later. 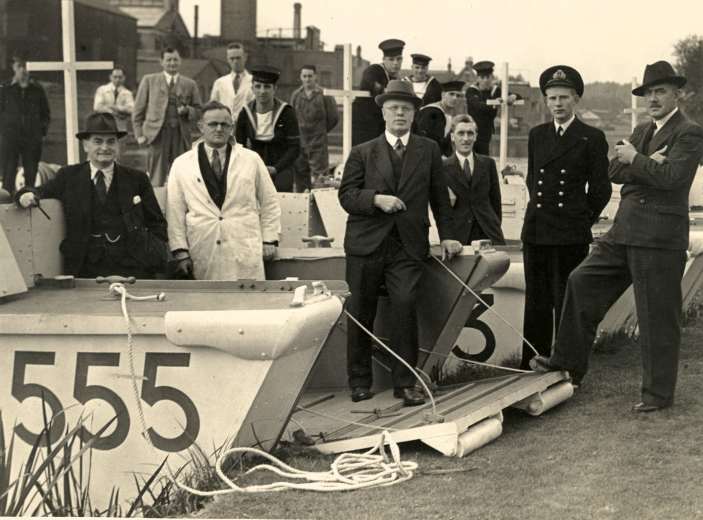 Any former employees of Elliott's Yard, their families, or Royal Navy personnel, who have recollections or photos from this period are invited to contact us. Even the smallest piece of information could be of interest. My dad, Darrell Collier (Jack), worked in the drawing office at Elliotts of Reading during the war. He remembered the handover of the landing craft and a trip up the Thames with the Mayor of Reading and his family on board. As my dad was not part of the official handover team, he sat in the engine compartment out of sight. After the war we came to know the Mayor's daughter who also remembered the trip. When I left school in 1955, I worked in the garage just inside the main gates of Elliotts. The workshop (or garage) backed on to Thorneycrofts yard and we had a door that went into same. My boss in the garage was Ron Wise and he told me many stories about the goings on in there. One of them was about a boat they made with a turbine engine for patrol use or whatever. 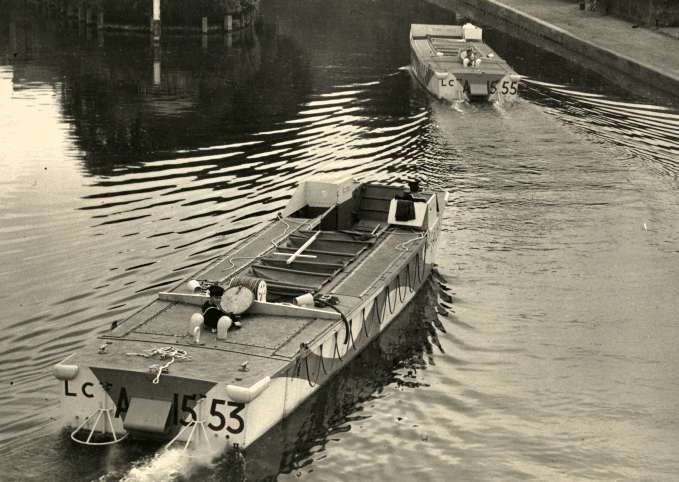 It was too fast for the river so they tested it in the dreadnought reach below Caversham lock. Evidently it was the first turbine powered boat at the time. Bob.